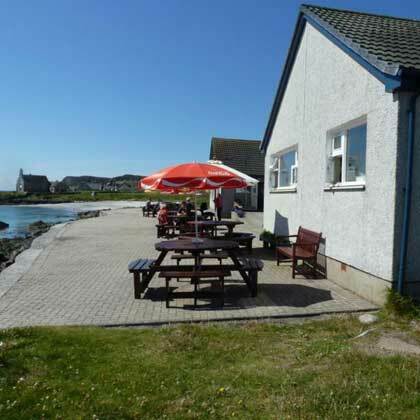 For information about the Isle of Mull click here For information about Tobermory click here. Of the earliest, we catch only fleeting glimpses now: a few Stone Age flints and tools, unearthed by the plough; a grassy cairn where some Bronze Age mourners laid their dead; fragments of pots, beads and bones which speak of a thriving Iron Age community early in the first millenium. Later, members of the Columban settlement became skilled in the working of metal, glass, wood and leather. 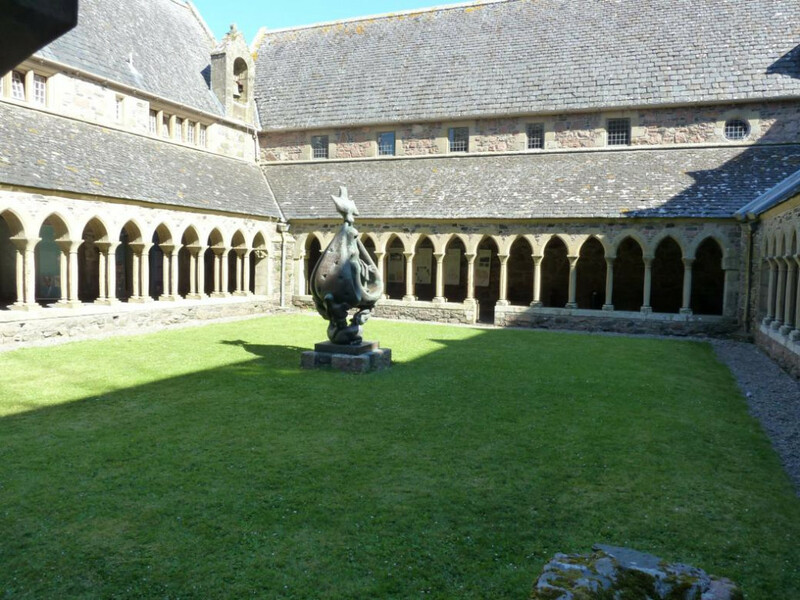 Succeeding generations bequeathed a rich artistic legacy in their intricately carved stones and crosses, fine prayers and poems, and exquisite illuminated manuscripts. The life of the crofting population down the ages is etched into rigs on the landscape, immortalised in Gaelic placenames and remembered in local lore. 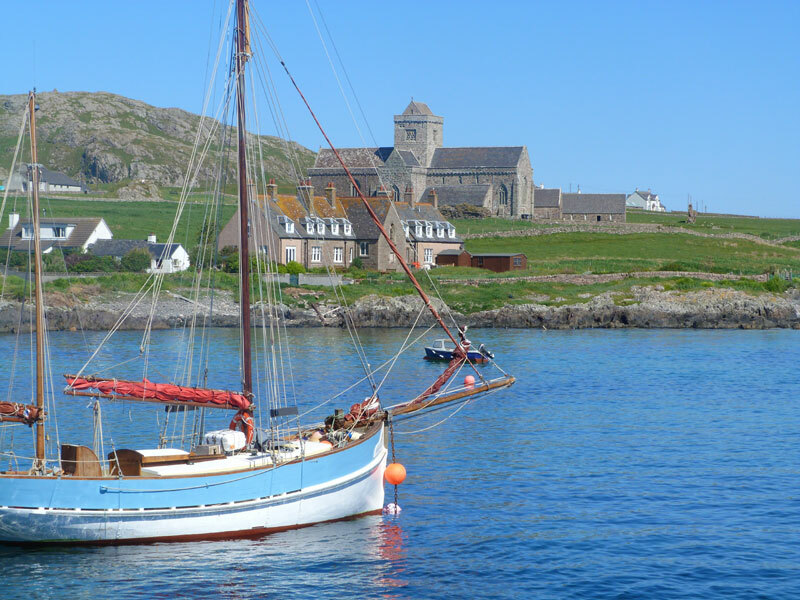 Today's island community follows in the tradition of all those who have gone before them - helping shape Iona's story in new ways, fostering a variety of creative talents and continuing to welcome visitors from across the globe". 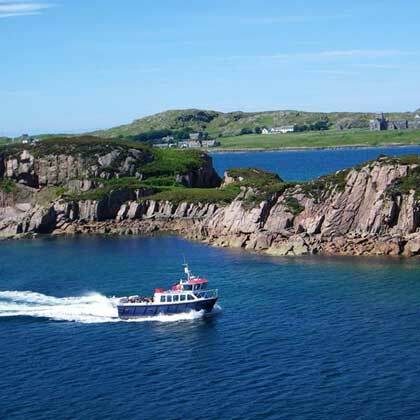 As well as the above statements about the Island, it has become well known for some of its wildlife. In particular the Corncrake, which is heard about the island amongst the reed beds. Sea-birds are also around in number, and the island attracts birdwatchers from all over the world. Visitors to the island often comment about the 'pace of life' and how relaxed the island feels. Retreats have become very popular, not just for religion, but to 'rest the soul' in general. If you walk into the heart of the island, you are almost immediately away from the other visitors on their trek to the Abbey and 'Bay at the back of the Ocean'. 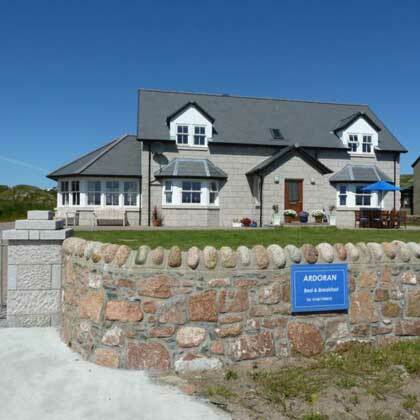 Iona only has about 150 residents, so to come 'out of season' can be a time to really sence the power of the island. So, Take time to absorb the real island, that had such an important influence on the 'spiritual' side of so many. 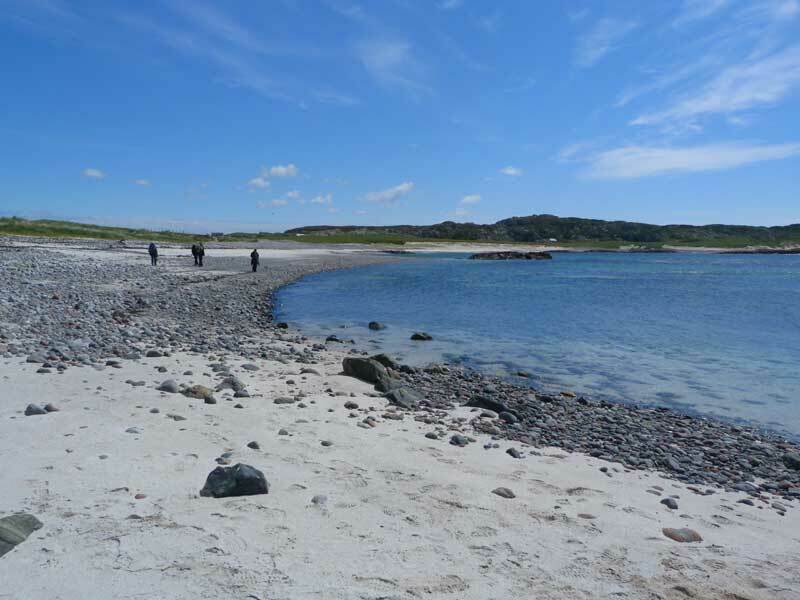 Beacher are also a feature that make the island so popular, with nine fairly accessible withing a reasonable walk. I say walk, as no non island vehicles are alowed on the island except by special permit. 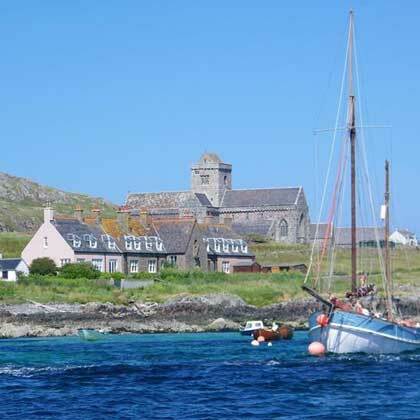 The Isle of Iona is special in so many ways. 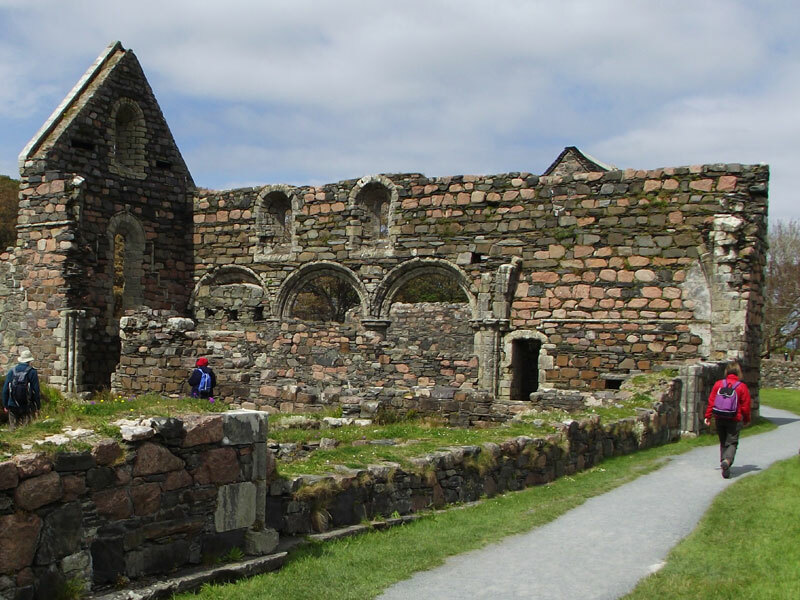 Come and take some time for yourself and take some of Iona's influence home with you.